6 you can "seriously doubt" from you head up [edited] position all you like, there is clearly lots you don't grasp. 8 sure you can try, and it may work sometimes and others it wont, likewise not everyone in the Cleveland or Atlanta is going to be attacking BB from the open as the only ship so they become focused, instead they will use much more opportunistic methods and their ability to reach over things in the 11km to 13km range (or 12km to 14km in the case of the Cleveland) when they are not doing their main job of DD and other CL/CA or CV's. sure people don't like a lot of things, but there are quite a long list of things the UK did differently to most other nations, from using low explosive propellants that give a more controlled push, to on average having heavier HE shells than their US, German and Japanese counterpart equivalent calibres, that contained a bursting charge that was on average bigger, and that's before you even get to the list of explosives developed in the UK during WW2, logic would dictate if your delivering more explosive in a HE shell, then the chemical energy released will be larger. Bismarck, 380mm (14.96") HE shell = 800kg with a ~64.2kg bursting charge. Iowa, 16" (406mm) HE shell = 862kg with a ~69.7kg bursting charge. Nagato, 410mm (16.14") HE shell = 938.5kg with a ~44.3kg bursting charge. Queen Elizabeth, 15" (381mm) HE shell = 891kg with a 59kg to 101.6kg bursting charge. Orion, 13.5" (343mm) HE shell = 635kg with a 80.1kg bursting charge. Bellerophon, 12" (305mm) HE shell = 386kg with a 48.3kg bursting charge. Lets break down those differences. The 101.6kg was Lyddite, which is Picric Acid, better known as 2,4,6-Trinitrophenol or TNP. It's weaker than TNT in explosive force due to density, but has a higher velocity when detonated. The original Lyddite shells were also notorious for shattering or breaking up before detonating. The other issue is that they were also found to be unstable and susceptible to shock. The MK VIIIb went to 59kg of TNT as it was more stable and the shell body was better designed to resist impact before the shell detonated. 1kg of TNT was roughly 1.15x the power of Lyddite in explosive force due to the compound. That means 59kg of TNT was = to 67.85kg of Lyddite. Germany used RDX with a mix of Wax and PETN, mind you though that they mostly operated the HE L/4,5 base fuze - Spr.gr. L/4,5 Bdz (mhb) , which was the base fuse model and not the nose fuse on the vessels so it only ran with 32.6kg of the stuff, but it was roughly as powerful as a 45kg TNT HE shell and extremely stable to shock. So The 41cm shell used by Nagato is most likely Type 92 so that's just pure TNT with a bit of wax as a shock absorber. I'm fairly sure that the USN used Explosive D for shell fillers, which if I remember correctly has a relative effectiveness factor comparable to TNT. I'm not aware of Composition B being used in naval HC shells. What is different is that BBs put shells all over a target, and RN HE will pen most parts at any angle. In an Atlanta, you either need to hit the superstructure of a bow-on target or you get nothing but breaks, but an RN BB can scatter shells into the hull turrets, etc and still get pens. Also, CLs lack both in range, and in accuracy at range. At worst you can back away from a CL and force them to either miss you, or to overextend and die, but RN BBs can and do hit from much farther out. Its just far far harder to avoid or mitigate their fire-starting. That’s why I favor putting a short cool down on fires (like 5 sec). A BB could still choose to time their shots so each one gets a chance at starting a fire, but then that would be a play choice, and it would be balanced by the lower alpha strike. Right now, the easy penetration and big damage makes spamming HE make sense even without starting fires. HE Pens is irrelevant. Fires are irrelevant. What I am worried about are the BB AP salvoes that end my game right then and there, or land citadel hits where I cannot repair back much of anything if I survive the salvo. That was me in my Hindenburg yesterday. "Battleship" Hindenburg. That Montana fired an AP salvo at me at range and crucified me at the start of the match. Hindenburg at max HP has 51.9k HP. With only SIX AP SHELLS that hit me, citadels included, he ripped away 47.6k HP away in ONE SALVO. I barely survived. My Repair Party could not repair much of that back. No HE salvo, or HE salvos, do that kind of critical damage. This is the kind of damage where even if the target survives, it cannot get much health back. That's the power of AP. Pretty much going into 1944 and 1945 Comp B started replacing Explosive D in Bombs and Shells, except for AP shells. 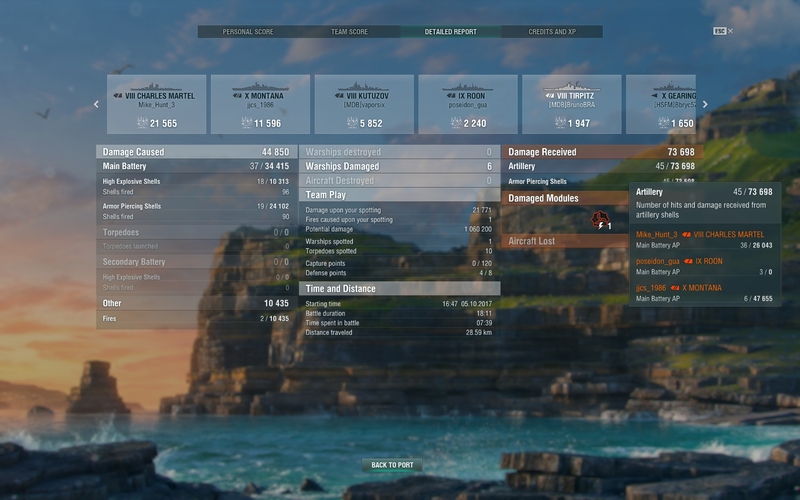 Personally (I got to play Conqueror during the Corgi Fleet Event) a change to the dispersion should tweak it enough so it is not so OP damage wise. Also mentioned was fire prevention, than means giving up manual Secondaries for a the KM BBs, and Probably CE for the USN line (while leaving the RN BB able to keep it's stealth). Also learn to play CVs, with the US Line supposedly getting AP bombs and the RN BBs have the same Armor layout as a KM BB, AP Bombs hurt alot. In case it has escaped you there is no 15inch US or Japanese naval guns, the sizes available are 14” or 16” for them, while the UK and German 15”/380mm are very close approximations of caliber, and well there is not enough reliable information for the UK 16” guns when it comes to HE shells. 1kg of comp-B = ~1.3kg of TNT = ~1.495kg lyddite. So a 15” shell filled with 101.6kg of lyddite would be equivalent of 101.6kg / ~1.495 = ~67.96kg of comp-b, which for a 15” shell that is heavier than a US 16” HC there is only 1.71kg of filler difference if converted to the explosive potential of comp-b. So in this respect my statement holds true. Next if we take the 15” MK VIIIb, this came with a number of different fillers, some “specials” along with the more mundane 59kg of TNT or RDX/TNT mix, the latter by your numbers bests the type 92 and the German 380mm, and given Explosive D only seems to be listed for the HC Mark 13/14 as denoted by the yellow nose indicating the type of bursting charge, I have to call into question your assertion it contained comp-b, given every colour photo I have seen of a MK 13/14 HC has a yellow nose denoting Explosive D.
So given Explosive D has about the same potential at TNT, and less potential than most mixes RDX/TNT as per MK VIIIb, and given the smaller diameter, higher mass and if 59kg of the RDX/TNT mix yields remotely close to TNT x 1.2 then again the MK 13/14 HC is beat in WW2 dates. As for you later assertions that explosive D in HC Mark 13 and 14 was replaced some time in 1944 when comp B was substituted, I will call [edited] on some of that, as the HC Mark 14 was not around until 1969, as the Mk 14 designation was given to 16” HC shells manufactured by The Naval Surface Warfare Center, which again were filled with Explosive D, while the others you listed are post 1980 developments, none of which is close to WW2. I don't know what they were filled with but my unit fired off lots of old HE shells dated 1945, they all went boom. It depends on the ship. Cruisers are uniquely fragile — because of their citadels they are actually a lot more prone to one-shots than even DDs. Cruisers mitigate that by staying at range, not being the first ship spotted, and generally playing as if everything might instantly kill them, because it might. There is a bit of a difference, because BBs really should not be camping at max range and hiding behind islands. No one has fun in matches where the BBs do that. I don’t complain about fires in general, because usually the ships which set a lot of fires are also extremely vulnerable, so if they take the time to follow you around lighting 3 fires and relighting them, they are going to die. A CA will typically set one then go hide or switch targets. If you put a fire out they might do it again or might not. Battleships trade volleys with each other constantly though. In normal play they angle against each other and try to sneak AP into soft spots (rarely ever a citadel). Normally, a BB might switch to HE for one volley against a highly angled target, but even then it’s often more effective to put AP into the conning tower — HE is a play choice, and there is a big downside to using it. Since RN HE eliminates most of the downside (good players rarely give up citadels anyway) there is a lot less choice involved. Since BBs typically trade volley after volley anyway, it give the RN opportunity to just keep reapplying multiple fires — cruisers don’t typically get to hang in the fight long enough to do that. Which is why I would change the ability to set more than one fire per volley. That leaves the lighter ships still able to use fires effectively, and takes away some of the silliness which encourages passive play. With one fire per volley, you can heal through much of the damage (but not all in a single use) so you don’t always need to put Damage Control on cooldown. 2 fires gets ahead of Repair Party significantly, and 3 must be repaired. It’s just the ability to set more than one per volley and then reapply them on the next volley which is a bit excessive on a ship that does not need to kite out to maximum range or play island peek-a-boo. You what m8? Yeah, totally correct, considering the USS West Virginia was issued them in late 1944 when that ship was decommissioned in 1947. Believe what you want to believe considering I've actually been around the shells and have had accurate detailed schematics as well as firing tables since I was a Radio Recon Marine and even though we decommissioned the Ships we still keep the data on the Danger Close, Area of Effect, and height of shell for accurate call for effect. Step 1. Stop popping DCP on 1 fire. Step 2. Stop putting your ship in a focus fire position. No ship, no build, not even a Survival Build BB, will get away from that without being in a bad state. IF they survive the focus fire to begin with. 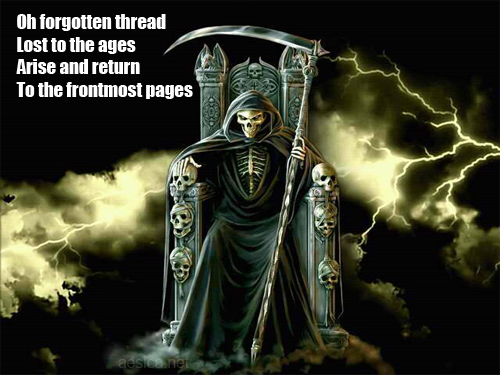 Bad luck on your part. Yes I do play Hindenburg among other cruiser's. Have you ever gotten citadels from BB AP shells tapping the aft end of the Cruiser? too using HE all the time. affairs. I don't like being citadelled or wiped out by BB AP before I have a chance of doing significant Dmg. I may not like it, but I realize that in a cruiser or destroyer my like is always hanging on a shoestring. Add jams to the Atlanta, Minotaur, etc..... after 5 rounds down range without a cool down of 30 seconds.....the more you fire the greater the chance of jamming. Done deal: WW2 solution. Nothing to spend of do. Hmm....no, i'm more concern about excessive potatoes infestation than HE spam. USN cruisers are all HE spammers, same as all IJN and German cruiers. Oh, the Russian Khab is the king of HE spammer too, and then you have the British cruiser AP spammer. Really, have any of you looked at the date from this thing? This exactly. BritBB AP is not very good. Exceptions are Warspite and Queen Elizabeth. On those two, AP is pretty decent. But when you "move up" to the King George V, you are right back in an Iron Duke, where HE is necessary to do any damage. Want to reduce Brit HE spam? Make their AP more effective. Not sure about lower tier but high tier British BB's AP is just as good if not better than any other BB AP out there. My conqueror see a lot of AP usage, usually i get between 35K to 40K dmg per salvo on broadsided Montana and Yamato below 15km range. Heh, i was looking at the recent activity thread list... and i see this thread title and i'm like...hmm, did i create that a year ago?